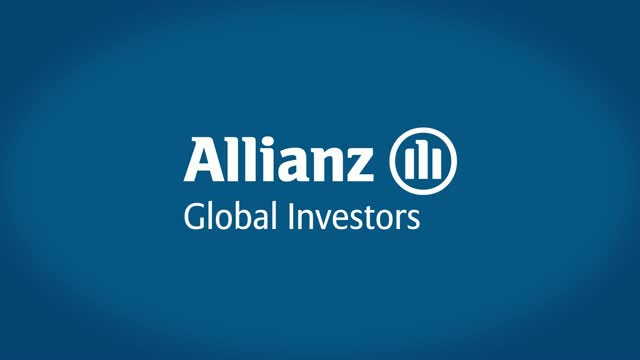 This video for Allianz is a high-level thought leadership piece that's meant to be approachable, informative but ultimately helps change perspectives on investment and risk. Which are the most crucial industry events for your business and how do you maximise them? BrightTALK Studios production services enable you to make the most of your presence at the-must attend conferences and events in your space. Produce valuable thought leadership pieces virtually on-site, to strategically drive engagement, fill pipeline, and generate leads for months to come. BrightTALK spoke with The US Dept. Homeland Security's Mike Pozmantier and got his thoughts on how to effectively protect critical infrastructure from cyber attacks; what influence the cyber skills shortage will have and information security in the financial sector. BrightTALK grabbed BAE's Bill Sweeney to catch his thoughts on the changing role of the CISO - how they communicate risks and vulnerability internally; how to get ahead of the attackers; the impact of threat intelligence and his key pieces of advice to CISO's who are taking new steps into the boardroom. BrightTALK caught up with Digital Shadows CTO and Co-Founder James Chappell to get his thoughts on financial digitalization and whether the security can keep up, cyber situation awareness and how to secure your connected toaster! BrightTALK favourite Raj Samani took the time to discuss the influence of cyber on middle eastern political conflicts; the role of hacking in Russian-American tensions; how to combat the cyber skills shortage and the enduring benefits of security collaboration. BrightTALK got the chance to catch up with Virus Bulletin's Martijn Grooten to hear his thoughts on the Apple vs FBI case; how to best protect healthcare institutions from cyber attacks and his reasons to be optimistic in the cyber security space in 2016. BrightTALK caught up with Menlo Security CTO Kowsik Guruswamy to get his thoughts on eliminating malware, the websites with the highest risk and vulnerability, plus how to protect the connected home. Edward Amoroso, former Senior VP & CSO at AT&T swung by BrightTALK's studio during RSA to give his thoughts on Ransomware, the Cyber Skills Shortage and how to protect rapidly digitalizing financial institutions. BrightTALK got the chance to speak to RSA keynoter Markus Jakobsson on the enduring threat of social engineering; how to protect financial institutions from cyber breaches and the effectiveness of spam filters. BrightTALK caught up with PayPal's Trent Adams to get his thoughts on the cyber skills shortage, protecting the connected home and on whether security can keep up with the tech developments as the financial world increasingly digitalises. BrightTALK caught up with Mikko Hypponen to get his thoughts on cyber warfare, ransomware targeted at critical infrastructure and what we should be looking forward to in the future of infosec. BrightTALK spoke to EJ Hilbert to get his thoughts on cyber techniques being used in conflicts in the middle east, the Apple vs FBI unlock case and the constant threat to critical infrastructure of ransomware. BrightTALK headed to RSA 2016 to interview the leading thinkers from the world of information security.